The files can be downloaded from our download page. We hope you will enjoy this release! Feedback as always is welcome (best in our forum). 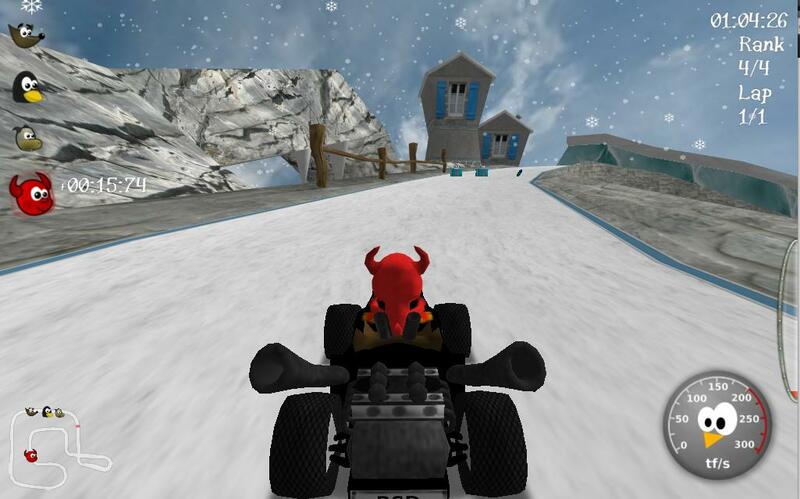 "bin/supertuxkart: error while loading shared libraries: libcurl.so.4: cannot open shared object file: No such file or directory"
Sebastian: we have pre-build binaries for linux, which also include the appropriate irrlicht version. Just unpack and run. Since we depend on an 'in between' irrlicht version, it is unlikely that this irrlicht version will actually be available, so you would have to wait for irrlicht 1.8 (and then for a release of STK that works with 1.8, which STK 0.7.2 might not). good work!!! This is a very adorable game!!!! I mean, I'm playing at this game since its first release, you have done a lot of progress. Now I prefer playing to super tux kart instead of mario kart! so, thanks for the good work! @Auria: don't want to register for another forum. Problem is solved. Your answer helped me a lot: it was the red mark icon. First I assumed that there was a problem with my firewall settings, but no: "Internet STK news" has to be turned on in the UI options - sounds quite bizarre, but obviously this is the switch to turn on/off internet communication in STK. Hey, you guys have any plans of submitting your game to Desura? I think that it would be necessary to make more cartoon design, to improve the graphics and the textures of the characters and the cars. And I think that it would be necessary to make a web site of the more beautiful and better organized game.